Three and Seven came about through a challenge based on auspicious numbers. I could not settle on a single auspicious number, so I chose the month and day of my birthday, and made those the central elements. 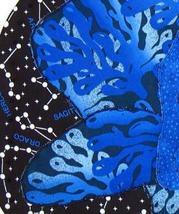 The idea of special numbers seemed to relate to astrology, and I have had the starry constellation fabric hanging around for a number of years now, so I used that for the background. 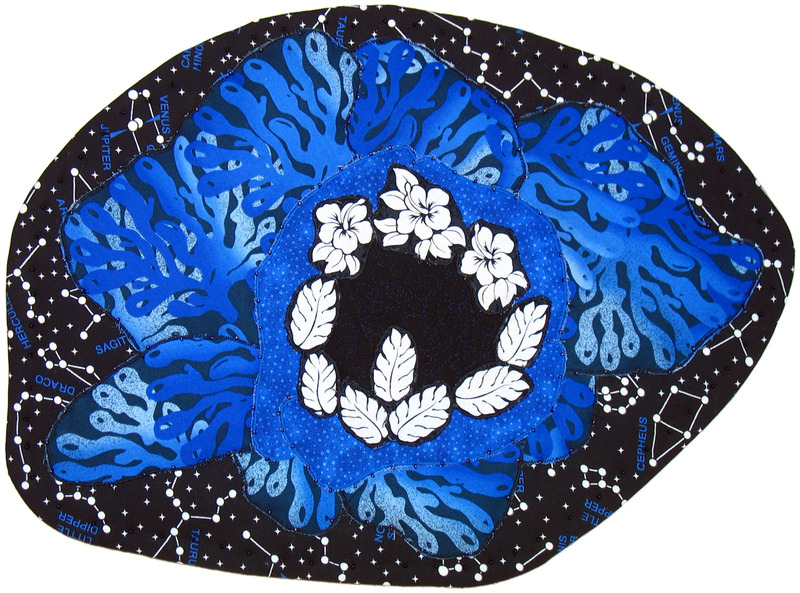 The blue anemone fabric was a find from a store near Berkeley, CA, which I found last summer, and it matched the blue in the constellation names, so it became a kind of nebula surrounding the center. I initially used a blue water kind of fabric for the center, but I liked the stark black better. The blue specked fabric made a good transition. 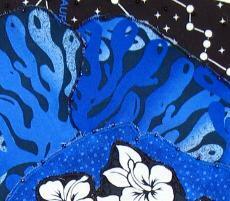 One thing that I can't show here is that the stars in the background glow in the dark! 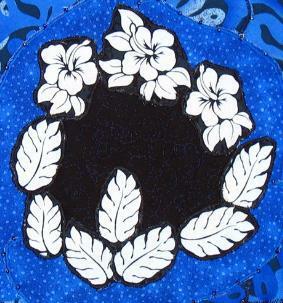 Size: 14" x 19" My artwork is mounted on foam core, which creates a light-weight but rigid piece with a wire for hanging and a felt backing. It is treated with a sun-block spray, although prolonged exposure to direct sunlight may eventually cause fading.